Wellcome to Rachel's Supermarket,believed that we are your best choice! 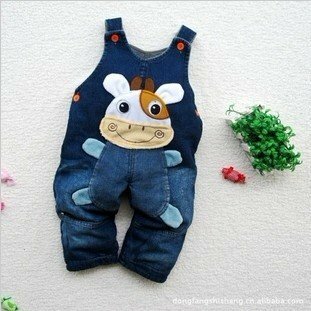 Material: Cotton and thickened woolen,Suitble for baby to wear in Spring,Autumn and Winter. so please leave message to me which color and size when you buy it,thanks very much! c:DHL /FedEx /TNT, Usually it will be take 3-5 working days to arrive. All of them also depends on local delivery speed. 3. The items will be marked as "gift" or "sample" and with a lower value for easy customs clearance. If any import charges or fees is the buyer's responsibility. All customs-related charges are paid by buyers. 4. We will ship to the address according to your message, so please inform us a phone number when you leave your message. 3. Contact us before leaving any negative feedback. We will work with you to solve any problem. You can mix all brands, color, size and so on. We have more brands, more models, more color in stock. If you like the product, but you not find them in our store, please don't worry, because we have many products are not listed on the website yet. So you can send the picture or the item code to us, we will give you the best service, our products come directly from the china factory. kinder Girls suspender thouser halter neck tank tops pants two colors.